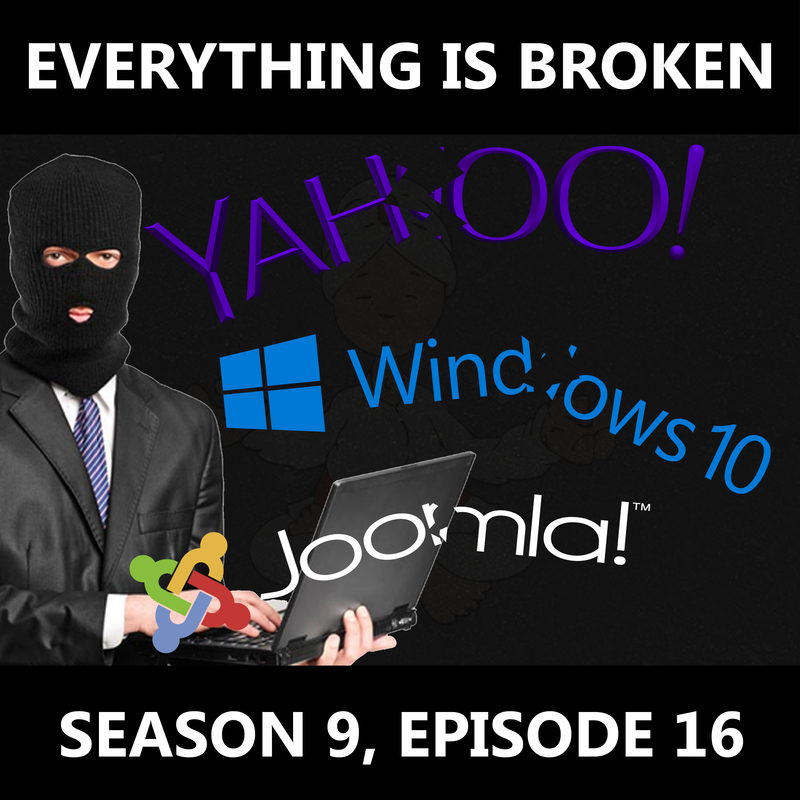 This episode Mike and Tara discuss the latest update & security failures from companies we’re supposed to trust, such as Yahoo, Microsoft, Joomla, and more. If each month of 2016 was an album about companies getting hacked, December would apparently be the Greatest Hits edition. This episode Mike and Tara discuss the latest update & security failures from companies we're supposed to trust, such as Yahoo, Microsoft, Joomla, and more. If each month of 2016 was an album about companies getting hacked, December would apparently be the Greatest Hits edition.